Rilakkuma Shop: Dance away the Monday Blues! Rila Dance! Dance away the Monday Blues! Rila Dance! Rilakkuma will dance to any music that you are listening to! 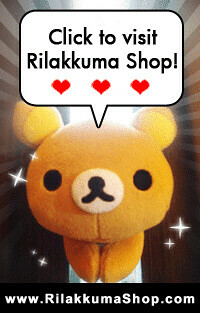 Will be available on www.rilakkumashop.com soon! Meanwhile, remember we are having our special promotion! Spend SGD 38.80 or more and stand a chance to win a LL Classic Plush!